It seems as if the number of social media channels are growing at a super quick rate of speed. Granted, you don’t have to try them all but I do 🙂 or at least I try the channels that I believe will be relevant for my brand. Some of them stick, some do not work for my brand and others I quite honestly just forget about. As we add channels this adds more and more time to our day. If your day is really full, adding another social media channel could be very time consuming. When adding these channels it is good to keep your mind on the bigger picture of your social media strategy and goals whatever they may be. 2011 ended with tweaking my brand a bit, adding services that were successful and minimizing services that were not. So as I started 2012 I had a great working plan to market my brand more aggressively, increase sales and do this while utilizing time saving methods. So in my focus on Content, Curation and Clients there has to be a common sense guide to adding different social media channels. Facebook: Personal & Business page allows me interaction with friends and people that I network with. Twitter: Allow me to share valuable information and extend my brand identity. Google+: Is Social Search and is essential to your brand. StumbleUp: Offers a great avenue to extend the reach of your content. Commun.it: Works hand in hand with Twitter and allows me to reach potential clients. I have invites. Empire Avenue: Is a Networking goldmine. Pinterest: Google juice for images. And I keep track of all of these channel with XeeMe. That is, in a nutshell my blueprint for workflow! 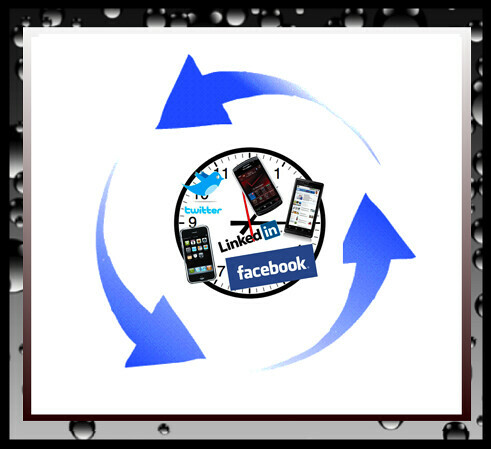 Control your social media channels, your time and Own it in 2012!